Welcome to ParmStar – The first street food trader to successfully take the legendary Teesside parmo nationwide. We love the dish and want to share it with as many people as possible. We make all our sauces from scratch, grate our own cheese and prep every single portion by hand to ensure we’re serving the best possible product. For the uninitiated, the parmo is derived from the Italian parmigiana and consists of a flattened, bread crumbed chicken fillet, topped with béchamel sauce and melted cheese. Originally made with pork instead of chicken, it’s been served on Teesside for decades and has become very much the dish of the area. Alongside the parmo, we offer another two dishes that evolved due to the popularity of the parmigiana. The first is our take on the classic New York parm. The main difference between this dish and the parmo is that instead of béchamel, it’s topped with slow-cooked tomato sauce. The final dish on the menu is an Aussie parma (also known as a parmi). Like the parm, it’s topped with a stove-top tomato sauce and cheese but interestingly, those clever Aussies add a slice of ham too. At street food events we make these dishes portable by serving them in freshly baked brioche buns. The parmo in a bun is called King of the North, the parm is known as a New Yorker and the parma is the Southern Cross. We also offer vegetarian/vegan versions using fried mushroom or aubergine. Our first event was in August 2015 at a funky beer festival in Manchester, run by the guys from Grub. We always enjoy trading over there and are pleased to be part of their events. We’re based in the North East but we trade at street food events and festivals literally all over the North. We’ve even done a few events in London (and are booked into Southbank Centre Market from Dec 9-11 2016) – so we’re definitely prepared to travel for the right event. John was a guest judge in the “World Parmo Championships” in 2015. This effectively meant he got to sit around and eat one parmo after another. All in all, a pretty standard day! 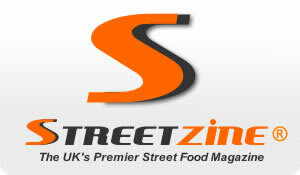 ParmStar is a proudly independent street food business. Where possible we use local suppliers and make our food from scratch using original recipes. Sustainability is important to us so we use compostable packaging and recycle as much waste as possible. We have a 5* hygiene rating and all relevant certifications.